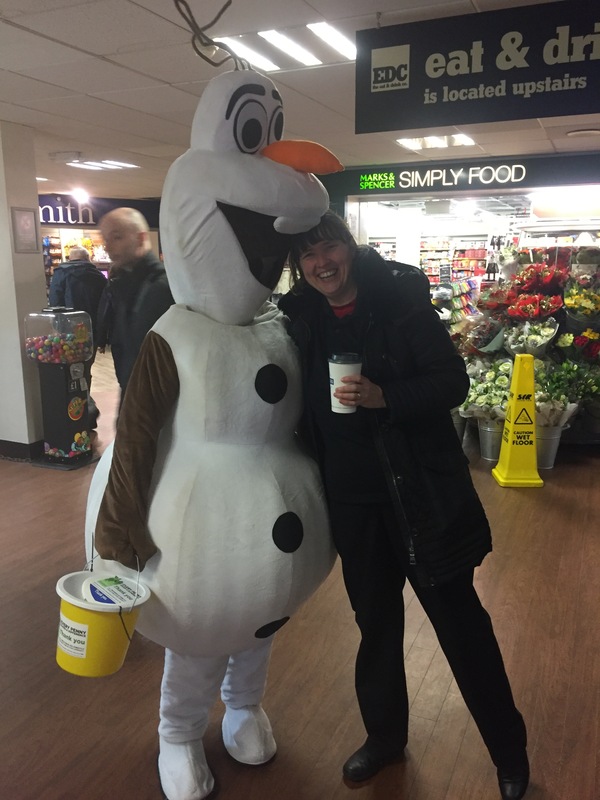 As part of our Charity Partnership with Moto Services at Forton Services we were invited to go along to raise money for the hospice on a day of our choice we thought Christmas was a perfect time to go as it would be busy and full of traveling families full of the Christmas Spirit. 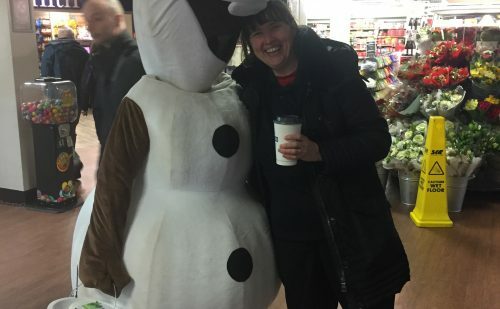 We went along on Thursday 22nd December from 9.30- 4pm with our brilliant supporters Janie Kirkman, Jacqui MacMillan and David Chandler, who was on his last day of his 30 days volunteering challenge. 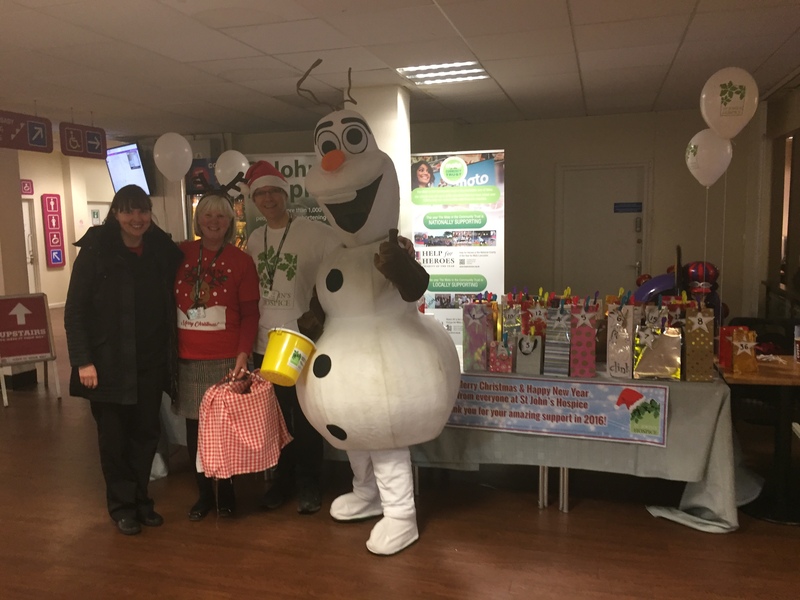 We had a table at the North side services selling small Christmas goodies, small hospice goods, a tombola and children’s lucky dip. 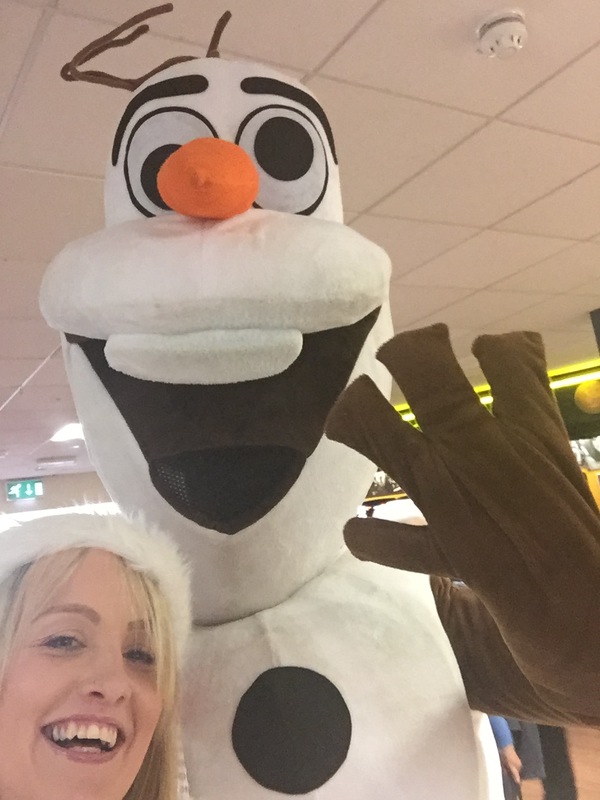 We also had a lovely Christmas friend with us all day…OLAF!! 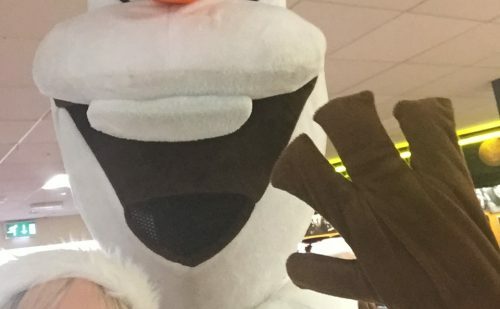 The children loved meeting him and having a warm hug, I think the adults secretly did too! 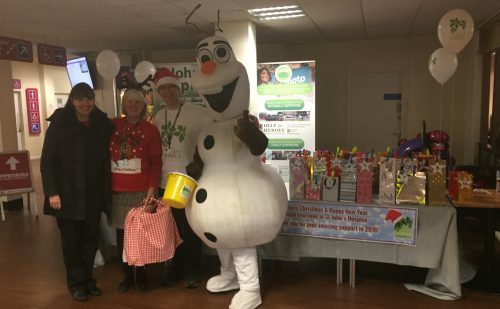 We raised a fab £382.94 for St John’s Hospice. Thank you to the volunteers and to everyone who supported us on the day. We have been charity partners with Moto Services since May last year. The Moto in the Community Trust aims to make a real difference to the communities around Moto’s 63 locations. One of the ways we do this is by providing each Moto location with the opportunity to adopt a local community partner. 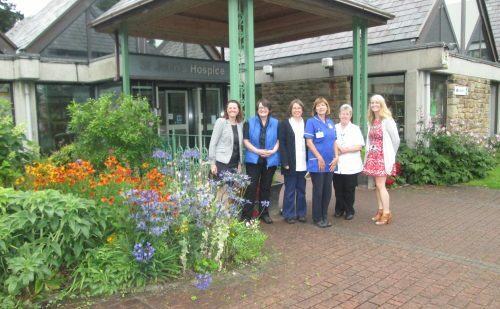 By joining forces with community groups and charities we are able to support them in realising their objectives. 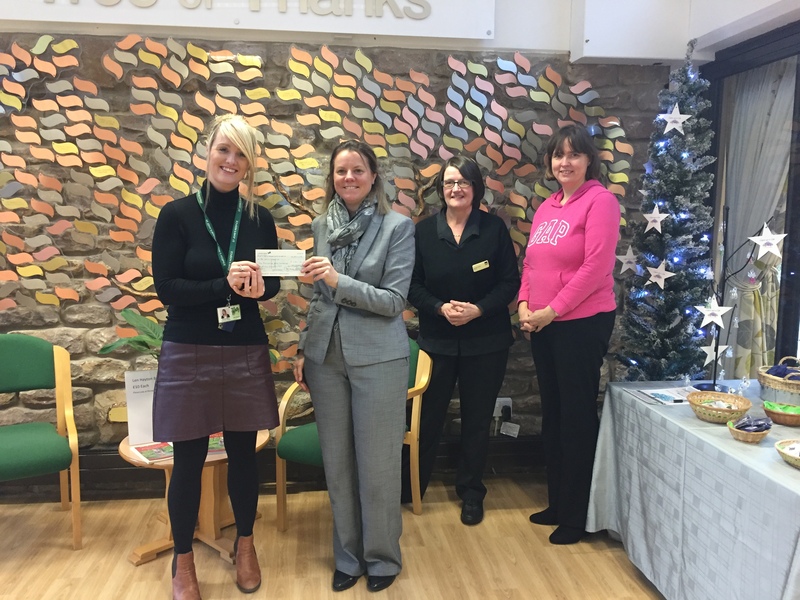 Our local community partners benefit from opportunities to visit their partnered Moto site, exhibit their publicity material and collect for their own registered charity on specific fundraising days. 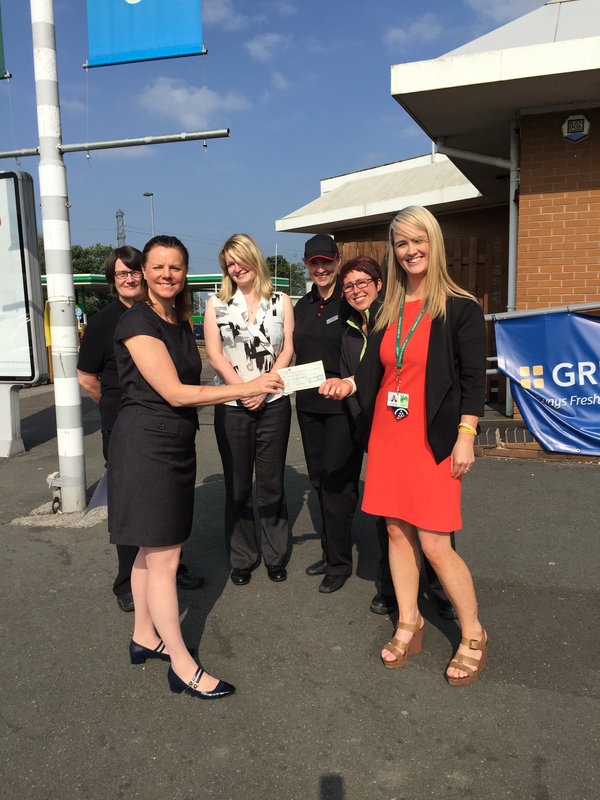 Our local community partners can also benefit from our grant scheme. 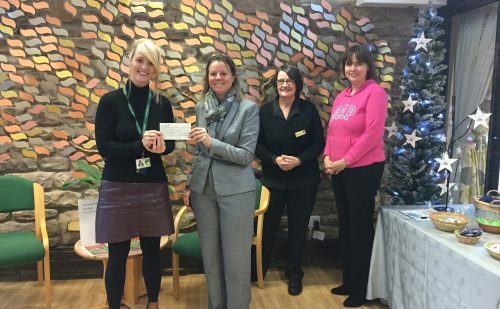 Since our charity partnership started in May, we have had great support from Forton Moto Services and already had two separate grants approved; the first was for £550 for an iPad for the patients on the ward, and £1101.12 for furniture on the ward. 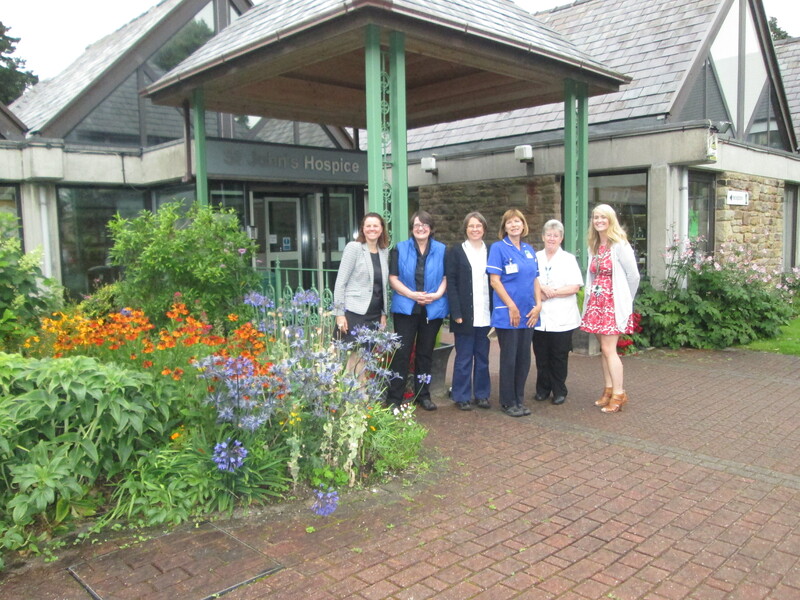 They have also taken part in the Morecambe Colour Dash and some of their brave staff have signed up to take part in our first group Sky Dive on 25th March!